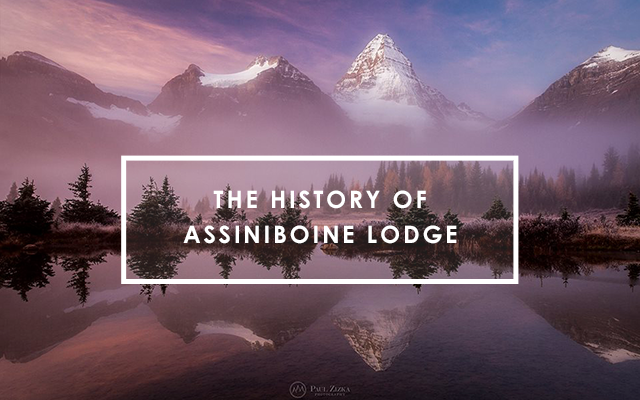 The History of Assiniboine | Backcountry Lodges of B.C. The History of Assiniboine | Backcountry Lodges of B.C. Assiniboine is a place of soaring glacier clad peaks, alpine meadows, powder snow, turquoise lakes and remote wilderness. For generations the area was the center of trade routes and often battles among indigenous peoples. Interest in mountain places came to Western Canada when the Rockies became accessible by train in 1885. The CPR began building elegant mountain hotels such as the Banff Springs Hotel and Chateau Lake Louise. 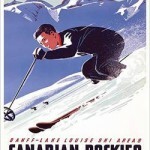 By 1922, thanks to lobbying by the Alpine Club of Canada, the Mt. Assiniboine area was added to the newly established Canadian Provincial Park System. It is bordered on the east by Banff National Park and on the west by Kootenay National Park. In 1990 it was included in the Canadian Rocky Mountain Parks UNESCO World Heritage Site. 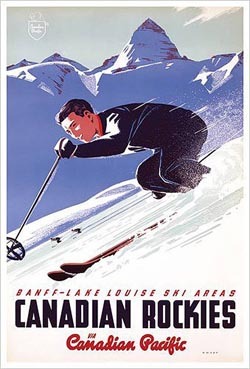 In 1928 Norwegian ski instructor, Erling Strom and Marquis degli Albizzi, an Italian nobleman and Winter Sports Director at Lake Placid, New York, skied into Assiniboine and fell in love with the area. At the top of Assiniboine Pass, Erling Strom said, “before us lay the most beautiful valley one could imagine, as well adapted to skiing as any we could hope to find.” He felt right then that this was going to be where he could spend the rest of his life. 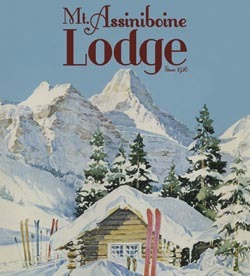 Together Strom and Albizzi convinced the CPR that they needed to build a ski lodge there for “fancy clients.” And so, in 1928, Assiniboine Lodge became the first backcountry ski lodge built for skiing in North America. 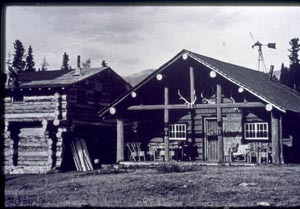 In 1929, Strom and Albizzin brought the first guests to the Lodge. True to his word, Erling Strom spent the next 50 years at Assiniboine. 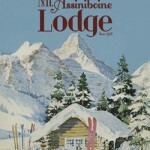 Assiniboine Lodge is owned by B.C. Parks. After the Strom tenure ended, Sepp and Barb Renner and their family operated the Lodge for 29 years (1983-2010). The Lodge is now operated by Renner’s son, Andre, Claude Duchesne and his wife, Annick Blouin. They also manage the Naiset Huts, all of the camping facilities in the area and the helicopter access. It’s the soul-soothing peace, the beauty and the camaraderie that keeps guests coming back to Assiniboine Lodge year after year…that and the “Cougar Milk” a rum concoction invented in 1929 by the first guests and often still served around the fire after a day out in the mountains!